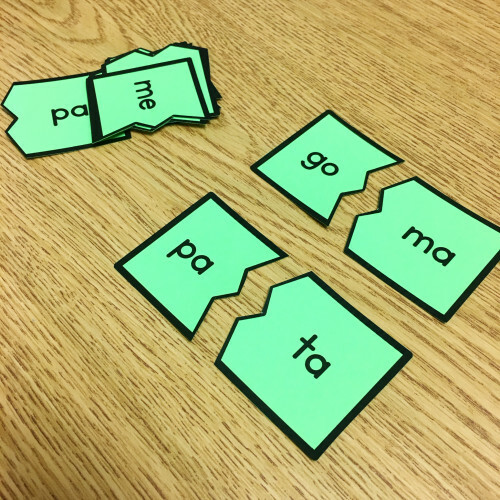 Yesterday I wrote a post about teaching phonological awareness in Spanish (and how it’s a little bit different from teaching phonological awareness in English). Similarly, there are some differences between teaching phonics in Spanish and phonics in English. 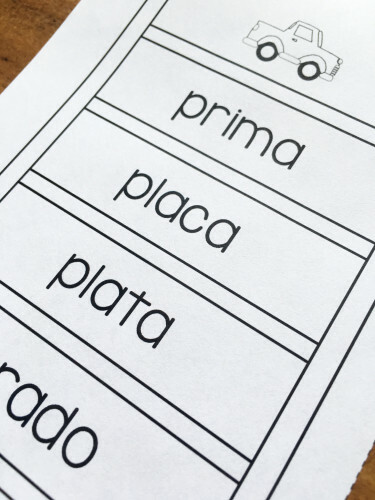 In today’s post, I’ll share ideas and free materials for teaching beginning phonics in Spanish. I’ll cover letter sounds, open syllables (sílabas abiertas), syllables with blends (sílabas trabadas), and closed syllables (sílabas cerradas). There are other types of phonics patterns that you’ll want to teach your students, depending upon their developmental levels (like diptongos, or diphthongs). However, I’m focusing on these areas in my post because I’ve worked mostly with beginning readers. 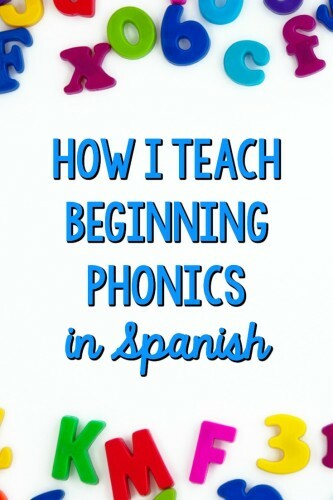 When I was a classroom teacher (in the primary grades), my students learned Spanish phonics primarily through a daily minilesson, small group or guided reading work, picture/word sorts, independent centers, and dictados. And, of course, they also learned it through reading and writing activities! I’ve found it helpful to choose a scope and sequence for the year (click HERE for the Kindergarten scope and sequence I’ve used in the past). Although I differentiate and deviate from it, having a planned-out path helps keep me on track. To introduce a new letter sound, syllable, or spelling pattern, I typically start with a minilesson. I write the letter or syllable for students, have them read it, and then have them write it in the air. We brainstorm words that contain the letter or syllable. Next, I introduce a picture sort. I have students cut out and sort pictures into 2 or 3 columns (by beginning sound or syllable, for example), and then write each word underneath. It gives them practice with the letter or syllable in the context of real words. I also encourage students to search for additional words (with the same patterns) in books. As time goes on, I have students begin to sort words rather than pictures. I also give different students different sorts, based upon their needs. Click HERE for a great book of Spanish word sorts. 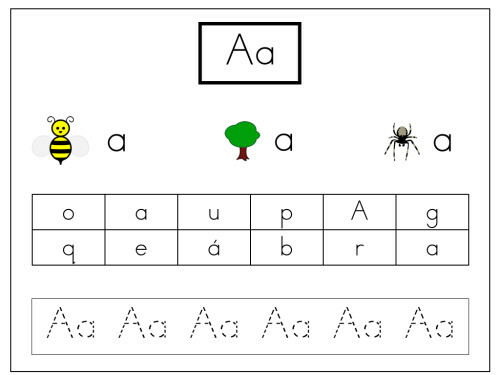 During independent work, students continue to practice these same letter sounds, syllables, or spelling patterns. When they’re with me for guided reading or small group literacy instruction, I either reinforce those same phonics patterns or work on other ones (depending upon what students need). On Fridays, I do a dictado, where I dictate words or a sentence to students. I incorporate some words that have the same sounds and spelling patterns we’ve learned throughout the week. I have students correct their work at the end, and help them make the connection between our phonics work and the words or sentences they’ve written. I’ve found that it’s important to always relate whatever skill you’re teaching to real reading and writing. Young readers are always so excited when they are able to read or write the type of syllable you’ve been studying in class! This also helps them understand the importance of learning the different phonics skills. Some bilingual teachers teach the letter sounds in isolation, while others teach them in the context of syllables. Honestly, I don’t think it matters much which way you do it (as long as you move relatively quickly into teaching the syllables, because Spanish is a syllabic language). My personal preference is to teach letter sounds first (without syllables), because I think it gets kids writing and reading emergent texts more quickly. I always teach the vowel sounds first, because these sounds are the ones that kids can hear and spell most easily. For example, if you asked an emergent reader to write the word “mesa,” you might get something that looks like this: “ea.” It’s easier for students to hear (and spell) vowels as opposed to consonants. AND the vowel letter names and sounds are the same, which makes them easy to remember! After I teach students the vowels, we move on to the consonants. I like to start with the consonants m, p, s, and l, because these are “easier” consonant sounds for students to hear, say, and spell. After that, I progress through the rest of the consonants, teaching several per week (when I was in the classroom). Again, you can access the scope and sequence I used when I taught Kinder HERE. I’ve used the Estrellita program to teach letter sounds for the last 5ish years, and I absolutely love it! There’s a chant and hand movements for each letter, as well as an alphabet chart that goes with it. Students learn the letter sounds so quickly from practicing the chant! You can check out the chant here (it’s not my video – I found it on YouTube!). 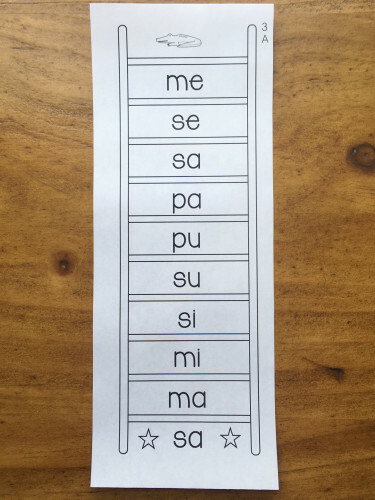 In addition to practicing the alphabet chant once or twice daily, I also like to use picture sorts to give students practice with the letters that we’re currently studying. We practice naming the pictures as a group, and then students work independently to sort the pictures by their initial sounds. After some practice, I also ask them to write each word underneath the picture. I don’t demand correct spelling – it’s just an opportunity for students to practice spelling words by listening for their sounds. There are picture cards in the free Spanish phonics toolkit that you can use to create your own picture sorts. Or, try the book of Spanish word sorts I use (HERE). If you find that some of your students are struggling with letter sounds, try my Spanish Letter Sounds Intervention Pack. It comes with instructions for using the materials for an interactive, engaging interventions. And the printable sheets require no prep! One other note about teaching letter sounds – I always teach them before teaching letter names. Although I do begin to use the letter names after a couple of months, I’ve found that starting with letter sounds enables kids to begin reading and writing more quickly than does teaching them the letter names. 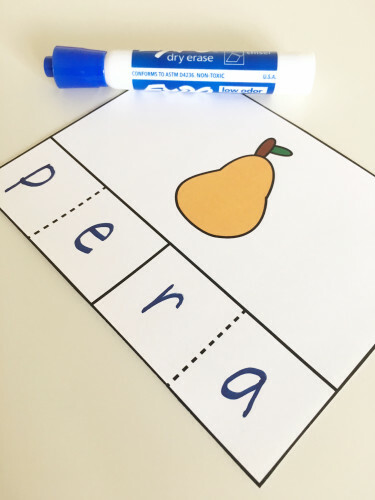 Picture sorts – Just like with letter sounds, I use these to give students practice with sorting and writing words that have the syllables we’re studying. Breaking apart words with magnetic letters – I have students read and make words with open syllables. Having them physically break apart a word into its syllables has been very helpful in getting them to decode simple words! Escaleras de fluidez – Reading in Spanish requires fast syllable processing. If students take a long time reading syllables, they may need some practice in this area in order to improve their fluency, decoding, and comprehension. My Escaleras de fluidez are a quick and easy way to give students more practice reading syllables. Students practice reading a syllable “ladder” until they are able to read it in a certain amount of time. They progress through different levels, starting with open syllables, then words with 2 open syllables, and on up. 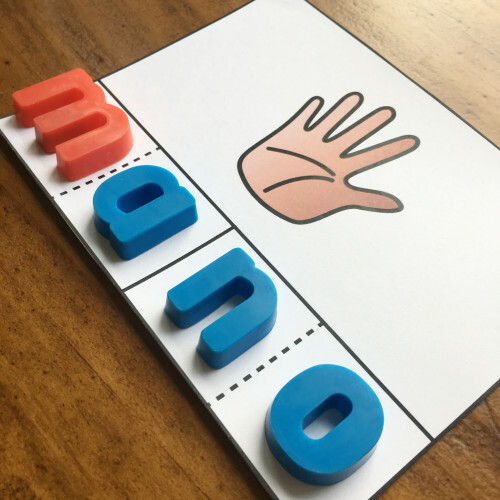 Building words with open syllables – I have my students engage in different independent activities to give them practice with building and reading words with open syllables. 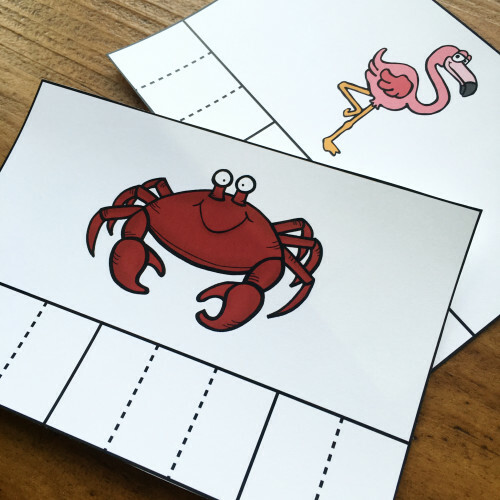 My free phonics toolkit comes with some syllable puzzles that students can use to practice word-building. Writing words with open syllables – Writing is sooo good for developing phonological awareness and syllable knowledge in Spanish! My kids love using spelling cards to practice writing words. They can either write the words out or spell them using magnetic letters. The cards progress in difficulty, so you can have students begin with simple words that have 2 open syllables, and then work their way on up. Click HERE for the 2 syllable word cards, and HERE for the 3 syllable word cards. Once students have mastered many open syllables, we move on to syllables and words with blends. When I’m getting ready to make the transition from open syllables to syllables with blends, I start having them blend sounds orally. For example, I might say /b/ /r/ /i/, and then the kids say “bri.” I also ask them to think of words that have that syllable (like “brisa”). My word cards also include practice with blends (some samples of these are included in the free download, or you can get the complete set HERE. Next, we move on to closed syllables. There are different types of closed syllables, like “im” in “imposible” or “son” in “sonrisa.” These can be tricky when students are used to reading syllables that end in a vowel! Not to sound like a broken record, but many of the same activities I’ve mentioned work well for teaching closed syllables! Magnetic letters are great for giving students practice with breaking up words and learning that not all syllables have 2 letters. My Escaleras de fluidez and syllable writing cards give students practice with closed syllables, too. The free Spanish phonological awareness and phonics toolkit (sign up below) contains some sample materials from both of these products. Although teaching phonics in Spanish is slightly different from teaching phonics in English, many of the same principles apply. 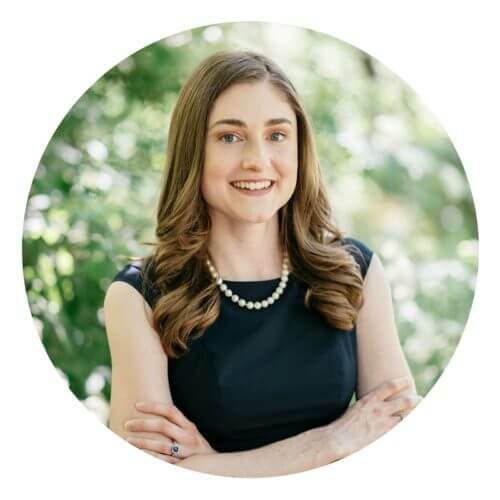 You’ll want to use a defined scope and sequence, provide many opportunities for practice, and always connect phonics learning to real reading and writing. Do you have any additional activities that you use to teach Spanish phonics? Please comment below – I’d love to hear from you! I love all this, I am a first grade bilingual teacher and we teach syllables, but there isn’t really an organization. I am really intrigued to follow your steps. Hi Jess! I think it just depends upon what your school’s model is! I don’t have a 2nd grade scope and sequence unfortunately. When you say 80-20, you mean 80% of the instruction is in Spanish, right? I am so glad I found your page. I have been looking for resources to help me with Spanish lang instruction and phonics. Everything I found was for English. This helps so much!! Like one of the comments, I am also teaching a 1st grade bilingual class. You are a life saver! I bought your escaleras de fluidez last year, so it is nice to finally know how you use them! Thank you! I will be checking your blog often. Thank you So much for the resource! I will be teaching my first year of kindergarten bilingual and will be using all your strategies, Thanks again! You’re so welcome! I absolutely love bilingual Kindergarten. Good luck with your first year! This is great, do you have anything for smaller kids? Like 3 and 4 year olds? I don’t; sorry! But I know that the Estrellita beginning sounds program can be used in preschool! Great resources thanks for taking the time to share, can’t wait to start using them ???? Hi, im glad I found your page. I’m a voluntary a nicaragua and we work a lot with kids with dyslexia. Do you have any tips for teaching 10-12 years old how to read and write? 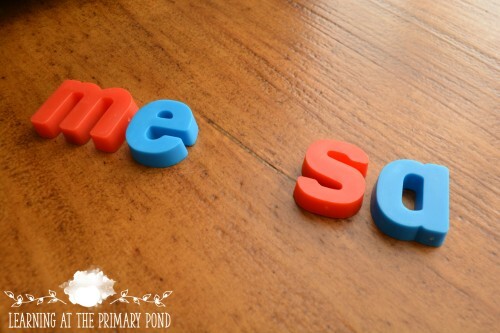 I have heard a lot about a method called phonics instruction – is that what you do here? Thanks so much for this, Alison! I can see so much hard work put into it! I only wish you had all the instruction in Spanish becuase we are a small school in Peru with limited resources and our teachers don’t speak English. Hi!! Love your post!! Thank you!!! I am curious about closed syllables and syllables with blends, to me it makes more sense teaching closed syllables first—- then finally adding the blends….. any suggestions on that? Is the Kindergarten scope and sequence the same for First grade? If not, do you have a first grade scope and sequence. Help!?! Hi Alison, Thank you so much for this information. I will like to know if you have a ¨high frecuency Word¨ list for spanish language, there are so differents list but I need a simple one for used with my daughter with Down Syndr. Hi Marury, I do not – sorry about that! Hi there! Does anyone know of professional texts in English or Spanish that provides research and methods for teaching Spanish phonics to young children? I need to do a book study or research and need a good text. Hi!! Thank you again for all the great advice! I actually just got a compliment this morning from a teacher. She is so impressed on how well her three little ones are coming along these past few weeks because of the morning program (with me :). I took all of the advice on your blog and it actually has made a difference. I have never taught in Spanish (but I do speak Spanish) so I was nervous in the beginning! But your blog and resources have helped me so much!! Thank you!!! I’m so glad, Rosie! That’s truly awesome. Good for you, and thanks so much for sharing this with me!! Thanks this is super helpful! I had one quick follow up question. It seems that Estrellita really focuses on teaching all the consonant sounds with “a” first. I don’t have first hand experience with the program but that’s what I have gathered from what I have read. Do you use that strategy? Does it make that much of a difference in your opinion? Do you teach all syllable vowel combos at a time? Thanks!! I should have kept reading, your answer was right in your blog. But I do still have a follow up question, you said you would teach ma, pa, sa and la in one week and then move to the other syllables. Does that mean that you would teach the silabas con e, con I, etc before teaching other syllables with a new vowel? Or do you teach the next four consonants with “e”? Thanks for answering my previous question. Just a quick follow up, do you teach the “rr”? And what about accents? One of the first words I will be teaching my students is Mamá and it has an accent. Thanks again for all your help! Hi Marianna! I have not been explicitly teaching the “rr” as a letter, no (although we discuss it). And that’s a great question about the accent mark – I very quickly explain what it is and show students the difference between using an accent vs. not using it (a great one is papa vs. papá!). I explain that it’s part of the word and must be used. With older students, I begin teaching it more formally (it sounds like you work with very young ones). Do you have a list of the first closed syllables you teach? Hi Seth, I don’t – sorry about that! Hi! I’ve recently discovered your resources and website and I cannot express how ecstatic I am to find another teacher/creator in Spanish!! I’m going on my fourth year teaching 1st grade dual language, and I am loving how I can relate to your method/steps of teaching. Plus I am enjoying all the activity ideas that I am learning from you, especially your scope and sequence for the year. I will definitely be creating one for first grade! Thank you!! Hello Dear Alison, I am an Spanish student who wants to teach Spanish letters to young learners,when I’ve searched something like phonics method for teaching Spanish letters, I’ve just found your suggestion. As a teacher of English phonics, I need a complete source of Spanish Alphabets to teach young learners. So I Need your idea, Do you suggest me any idea or any book or any method for teaching Spanish in the way of phonics? Hi there! Have you heard of the Estrellita program? I’ve used that in the past and found it very helpful! Our school is a dual-immersion Spanish school and we are looking for research about when is the best time to start teaching letter names and sounds in Spanish. Some kinder teachers start in August, and some don’t start with Spanish names and sounds until January, focusing more on the oral language in Spanish and only doing names and sounds in English in the fall. Do you know if there is any research about what is best practice? Thanks.